This past week, Florida Farm Bureau Federation (FFBF) held its annual Field to the Hill fly-in event, where Florida farmers had the opportunity to fly to Washington, D.C., and speak to their legislators about issues they are facing in the Florida agricultural industry. AgNet Media’s Abbey Taylor was able to tag along with the Farm Bureau members and witness firsthand the passion of Florida farmers. There were roughly 70 members in attendance, and this year, members of Florida Farm Bureau’s Young Farmers and Ranchers program were invited to attend as well. The top issues FFBF brought to the event were labor reform, the North American Free Trade Agreement (NAFTA) and the farm bill. The event began on May 8 with a briefing session featuring presentations from the American Farm Bureau Federation (AFBF). Dale Moore, vice president of public affairs for AFBF, kicked off the session. FFBF members were able to take advantage of Moore’s extensive ag policy knowledge during his presentations by asking him questions about anything from trade to labor. Paul Schlegel, managing director of public policy and economics for AFBF, gave a briefing on agricultural labor reform. Schlegel discussed Rep. Goodlatte’s AG Act and the pros and cons of the program. Although the AG Act is not perfect, it is an opportunity for true labor reform, which is something U.S. agriculture desperately needs, believes Schlegel. Andrew Walmsley, AFBF director of congressional relations, discussed the farm bill. He explored the partisan nature of the farm bill and what that means to legislators. Walmsley also went over some amendments that could come up within the next week or two and what those amendments would mean for different aspects of the Florida agriculture industry if passed. There is time pressure on the farm bill, so the Field to the Hill event occurred at the perfect time. Walmsley said the goal is to get the farm bill finished by September 30, before the election season. “We’re going to get it across the finish line. That’s what we do,” Walmsley said. Finally, Randy Dwyer, AFBF director of grassroots program development, gave an informative presentation on the dos and don’ts when speaking to a legislator. Dwyer discussed how to advocate for an industry and get a point across without being disrespectful toward another’s thoughts or opinions. The first day of the Field to the Hill event provided attendees with a great opportunity to learn how to make the most of their Capitol Hill experience. Each presentation provided members with information they needed to make a difference and be heard during the event. The second day of the event began with a briefing breakfast. During the breakfast, Dave Salmonsen, AFBF senior director of congressional relations, gave attendees a breakdown on all things trade. Although attendees were mostly going to be focusing on NAFTA during their appointments with their legislators, Salmonsen gave a rundown on Chinese tariffs and the Transpacific Partnership as well as NAFTA. One aspect of NAFTA that members were really focusing on was the dumping of perishable commodities from Mexico. It’s no secret that Florida specialty crops have been suffering from the increased competition from Mexican imports. Although automobiles are the major hold-up in renegotiation talks, Florida growers want to make sure their legislators do not overlook the struggling specialty crop growers. Secondly, Jamie Clover-Adams, an advisor under U.S. Secretary of Agriculture Sonny Perdue, gave a presentation about the newly released details of the 2017 Wildfires and Hurricanes Indemnity Program and the $340 million block grant going toward Florida citrus growers impacted by the storm. After breakfast, attendees headed to Capitol Hill to begin meetings with their county legislators. Several meetings happened simultaneously in different office buildings as attendees from different counties met with their respective members of Congress. Most meetings were with members of the House, except for two meetings with Senator Marco Rubio and Senator Bill Nelson. Although all members spoke on each of the three focus issues, some members were more passionate about just one of them. For Tony Kalogridis, a vegetable grower and a member of the Young Farmers and Ranchers program, one issue that he feels strongly about is NAFTA. Kalogridis said that the dumping of Mexican produce into America has to stop because it is severely hurting Florida produce growers. “Being able to renegotiate and reform this (NAFTA) will give us the opportunity to sustain our business model,” Kalogridis said. However, the AG Act has some major downsides that Johnson wanted to make sure his legislators were aware of. These issues include provisions like the visa cap. 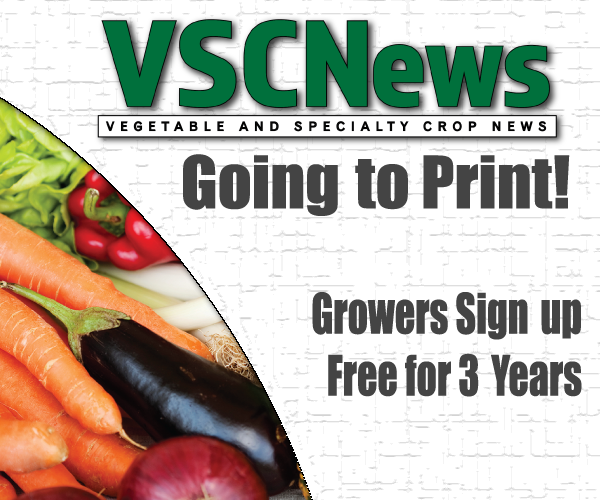 Currently, the AG Act has a cap on the number of visas that can be given within the H-2C program, which is a new program introduced in the bill. With more and more farmers using guest worker programs, a cap on visas would not be possible in this industry. “We can’t be limited, especially as we grow more and more crops, because we’ll need more and more people to help get it done. So, it’s very important we don’t have a cap on that,” Johnson said. 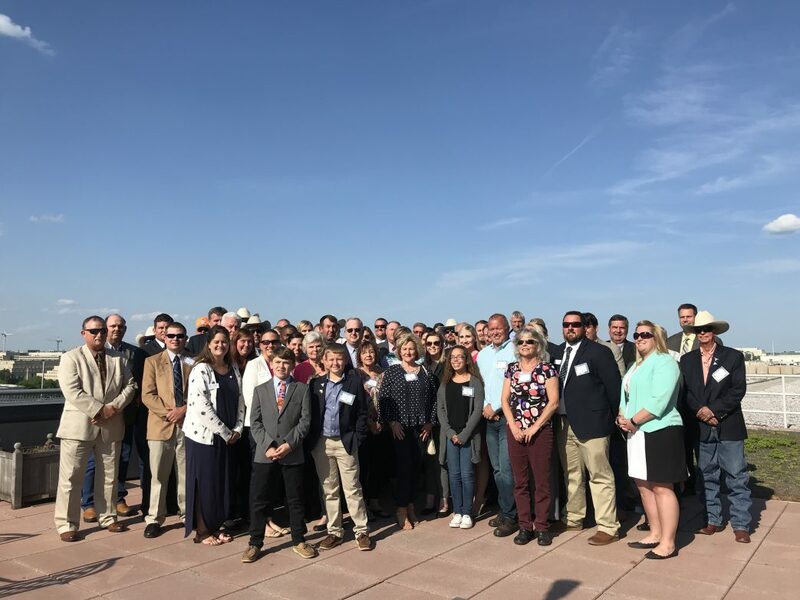 Other members like David Hafner, a feed store manager and small family farm owner, attend the Field to the Hill event simply to advocate for agriculture and promote the industry. Hafner thinks it is extremely important for farmers to speak to their legislators on the federal, state and local levels to advocate for Florida agriculture and make sure elected officials know what a farmer’s needs are. Day two concluded with a Taste of Florida reception, hosted by FFBF and the University of Florida Institute of Food and Agricultural Sciences (UF/IFAS). FFBF members were able to relax and mingle with each other and several UF/IFAS alumni. FFBF President John Hoblick and UF/IFAS Senior Vice President Jack Payne gave an address during the reception. They discussed the close relationship between UF/IFAS and FFBF and why both organizations are crucial to the survival of Florida agriculture. Hoblick and Payne also recognized Congressman Tom Rooney, who has been a champion for Florida agriculture. Rooney is retiring from his seat instead of seeking a sixth term during the elections this fall. Facebook members can watch the address here. On the final day of FFBF’s annual fly-in, Environmental Protection Agency (EPA) Administrator Scott Pruitt gave members an update on the agency since he took office in February 2017. He discussed EPA’s efforts to repeal the 2015 Waters of the United States rule, exempt agriculture from reporting air emissions, and enhance the outreach of the EPA to stakeholder groups, such as the agriculture industry. Every year, FFBF provides its members with this excellent opportunity to get in front of their legislators to advocate for Florida agriculture. Thank you to John Hoblick, Kevin Morgan, John Walt Boatright, Jaime Jerrels and Rachael Smith for allowing me to tag along with the group. It was an incredibly educational experience, and I am thankful to have been a part of it. Stay tuned for more from the Field to the Hill event on VSCNews.com and SoutheastAgNet.com in the coming weeks.